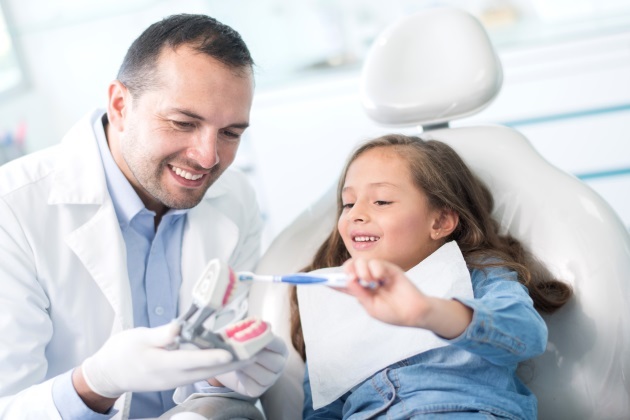 MultiBrief: Should dentists continue to use fluoride? Should dentists continue to use fluoride? In 1993, The National Research Council (NRC) concluded: "the weight of the evidence from the epidemiological [population-based] studies completed to date does not support the hypothesis of an association between fluoride exposure and increased cancer risk in humans." The council suggested more through research. The National Health Service (NHS) Centre for Reviews and Dissemination, in 2000, reviewed 26 studies on the link between cancer and fluoride. At the end of their review, the center also concluded, "Overall, no clear association between water fluoridation and incidence or mortality of bone cancers, thyroid cancer, or all cancers was found." The National Research Council, in 2006, issued an updated review to their past 1993 study and again found, "the evidence on the potential of fluoride to initiate or promote cancers, particularly of the bone, is tentative and mixed." In 2010, a report published by the European Scientific Committee on Health and Environmental Risks (SCHER) "agrees that epidemiological studies do not indicate a clear link between fluoride in drinking water, and osteosarcoma and cancer in general. There is no evidence from animal studies to support the link, thus fluoride cannot be classified as carcinogenic." California’s Carcinogen Identification Committee (CIC), in 2011, conducted its own review of past studies and stated, "fluoride and its salts has not been clearly shown to cause cancer." In 2015, the U.S. Public Health Service again released a report that stated, "This finding is consistent with systematic reviews and three recent ecological studies that found no association between incidence of this rare cancer and the fluoride content of community water."